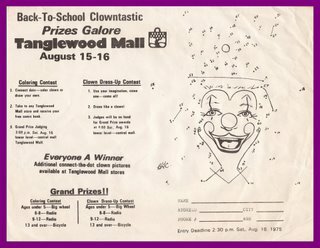 In 1975, Tanglewood Mall in Roanoke, VA had a terrific idea for a back-to-school promotion- fill a mall full of scary clowns and watch the kiddies beg to be sent back to school. Clowns are always useful tools in any 'it could be worse' scenario. 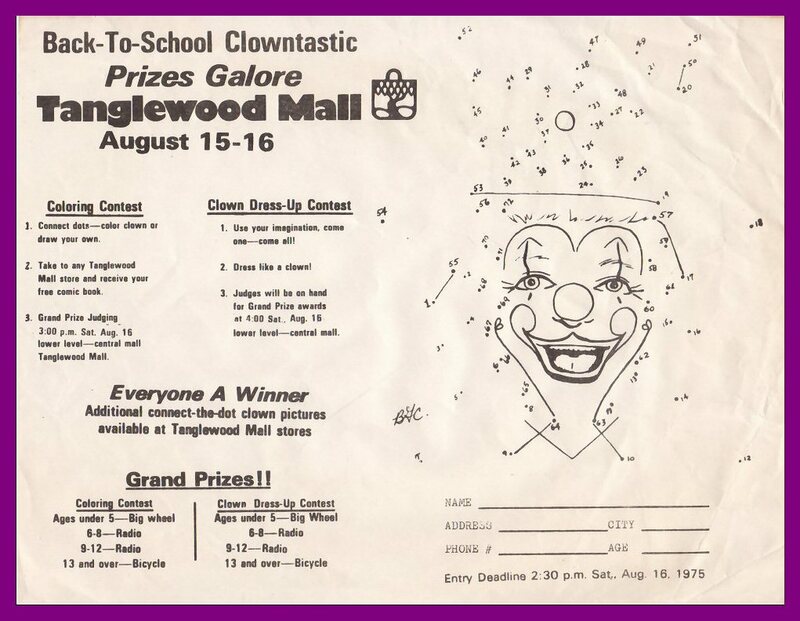 Whatever dire straits you may find yourself facing in the future always remember that it could be worse... you could be stuck in a mall full of clowns. On a completely different note- that under-5 grand prize of a Big Wheel had to be the coolest non-cash grand prize given in any competition ever. Tell me you wouldn't enter any contest that had a Big Wheel as the grand prize!